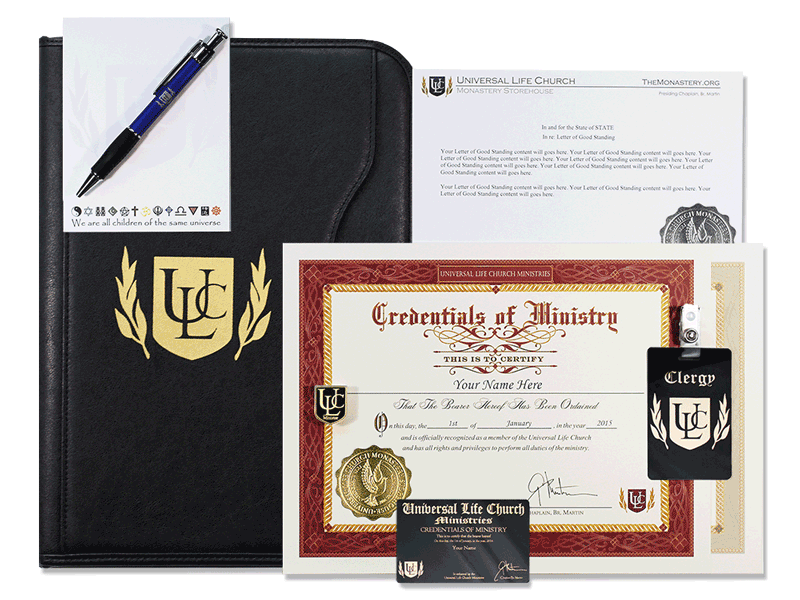 Beautiful, high-quality Professional Officiant Portfolio to organize all of your documents and featuring full zipper closure and gold ULC logo on the front. Order everything that you need to plan and perform a wedding in one convenient package. If you are performing a wedding, you may be required to purchase a Official Letter of Good Standing as well.